Can we host a private SIP & PAINT party at Jackson Art? Yes! 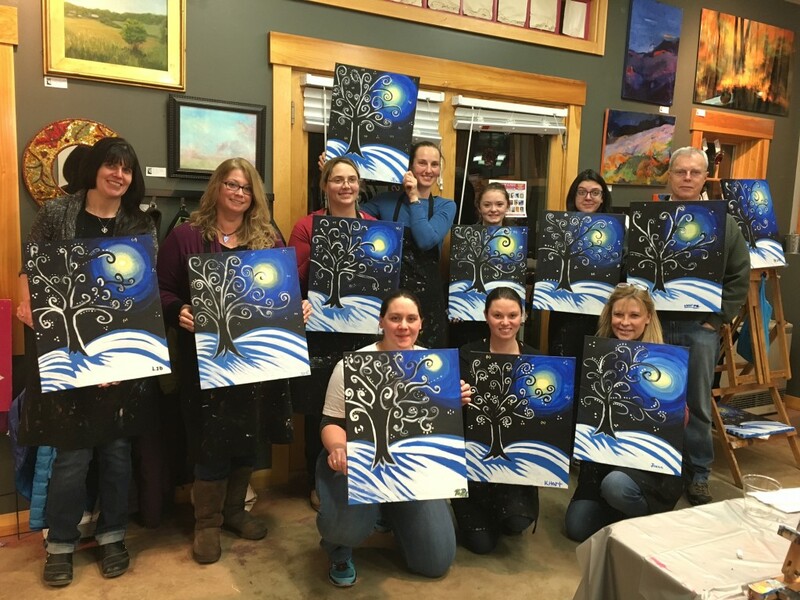 Private parties are a great way to do something creative with a group you put together. 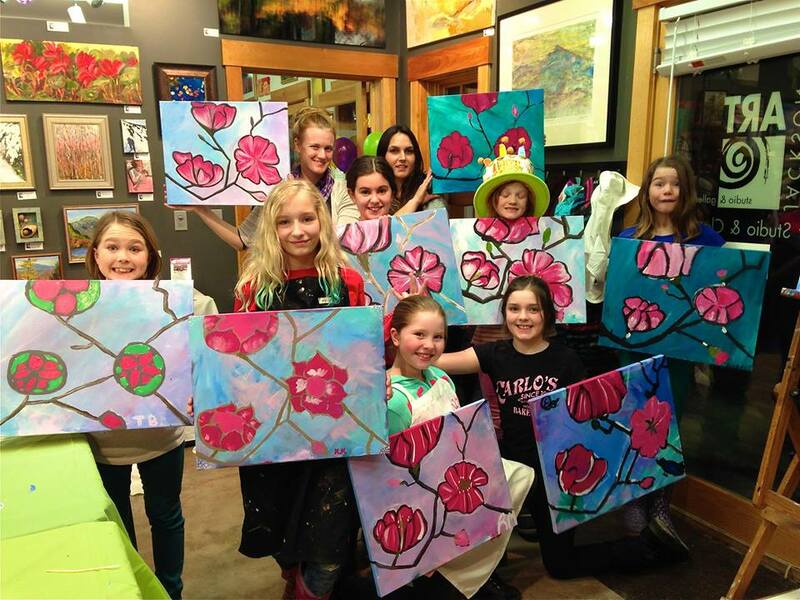 You need a minimum of 8 people (max of 18) to host a private party at Jackson Art! The person booking the party is responsible for this minimum of 8 people. Yes, we do travel! There is an extra $10 per/person travel fee! We bring everything you need except the tables and chairs. We do need a sink to wash hands and brushes. There is a minimum of 10 people and max of 20 for travel parties! We require a non-refundable deposit of 3 spots to book your party. The remainder must be paid prior to party. The person booking the party is responsible for making sure that the minimum spots are booked prior to date of party. Pick the image you would like paint! Each instructor creates their own paintings. We will do our best to try find a date for your paint party with the image you want, but you might want to give us your top three choices! Kids 7 and up are welcome with a registered adult! NEW! We now have Kids Paint Parties! Ages 7-13 $35 per/person with a minimum of 8 kids. Daytime only. All kids leave with a 16×20″ painting! Advanced booking required! Cancellation Policy for all Private Parties: Once deposit is made, we reserve your date and put it on our online calendar. Thet date is yours! We do not take last minute cancellations for private parties. If you need to cancel due to weather or illness, you can book another date with us! No refunds on private parties. GET READY FOR A FUN PAINT PARTY! Day or night! Girls Night Out- Couples Night-Corporate Events – Bachelorette Parties – Birthday Parties – Bridal and Baby Showers – Anniversary Parties – Team-Building Events – Fundraisers and More! CALL OR EMAIL MORE DETAILS!